As the last but not least, youngest but no longer a babe, and sweet son we cherish, Oakley Andrew fills an essential role in our family. Oaks turned four last week. Four! Four is dangerously close to five which leads to way big stuff like six, seven, and eight, and is so separate from little kid stuff like two, or even three. I was in so much denial I asked Awesome Aunt Nat for 3T Christmas jammies. Unfortunately for me, and Nat who had to negotiate a return, Oakley’s leg length was 4T long before October. I simply hadn’t noticed due to summer shorts as his only style. Now that I’m on board, mind set and heart happy even, I am writing the Oaks bday blog. 10 days late. Oakley, as Osborne kid number three, not much is new for you. Daddy and I have been parents before, Eli and Andi have been siblings, and all our baby stuff was worn in well by the time you slept, sucked on, or sat in it. However, you are the only you we get Oaks. And, you are prized and precious just the way you are, just because you’re you. Planned on purpose. You’re the only baby Daddy and I decided to try for, waited for, and for whom we welcomed a positive pregnancy test without great surprise. I did not have a c-section with you after having one for both deliveries of Eli and Andi. You took to trains. You are our only kid who has enjoyed playing with trains. Thanks for introducing us to Thomas. Surely we would not have made it through parenting toddlers without that friendly tank engine? Life’s realities came fastest to you. Eli and Andi cared about you and loved you. Andi especially enjoys intentional time with you. However, since they are four and six years older, you got life handed to you a little faster. As a much younger kid than E or A, you got: candy, movies, Kidz Bop, tackles, Nerf guns, your own room, language( “What the heck in the world?” and “Boom! Heck! What? !” you say as a three year old. ), and an 8:30pm bedtime. Closest to cousins. Oaks, you’re lucky to be only two years older than your closest cousin instead of the nine and seven years Eli and Andi spread between June. I’m grateful you’re loving all your little cousins (June, Wilson, Vienna, and Henley) now and know you’ll love being their littlest big cousin and friend. Most intense medical history in our first decade of parenting. You went to the CMH ER for stitches on your ear in February 2014. Nothing worse than ear infections for Eli or Andi! Oaks, it’s because of you we are doing the Gap Year. I loved my days home with you but wanted Eli and Andi to have the same chance to enjoy you as I did. I wanted you to get to know them really well, to play with, fight with, and learn with them. Oaks, it’s because of you we get to laugh, slow down, be amazed and enjoy the little things through your eyes in a way we would miss if you didn’t share so well with us. As you grow up, we will celebrate your uniqueness and affirm your connection to a life bigger than yourself. You are blessed Oaks, to be a blessing. You have strength and sweetness, words and great ideas, humor and energy that can make a difference if you’re kind, intentional, grounded in Christ, and brave. I believe you can do big and hard things, and I promise to watch, process, and help as I can. “It’s a good thing we have Oaks.” Amen. For sure. “Comparison is the thief of joy”…absolutely. I agree. But what about comparison when there is no joy? My comparison in question is the sheer number of public place pukes that I have mopped up compared to other moms in their first decade of parenting. Over the past 10 years, my poor kids have thrown up in public a pretty serious amount of times. Public DOES NOT equal the our van/child car seats which, as locations unto themselves, have endured more than five “events”. Public DOES NOT equal the basement of my in-laws house, the closet of the VRBO mountain home we had over Christmas in 2013, or our home…bunk bed, kitchen floor, couch, or crib. the small arcade section of our local Walmart. Plus, I think I’m leaving one out. Don’t other families have kids who get to toilets for throwing up more often than mine? But again, why despair and compare? I’m really writing today to acknowledge that a major shift has occurred in my relationship with Eli. He has grown out of just care-demanding-dependence and into a maturity that allows him to work for his own survival (watch him serve himself cereal on a Wednesday morning! ), thriving (so much reading! ), and just recently, in major ways, as a co-collaborator with me in trying times. There was a rough night two weeks ago when Drew was out of town, Andi was at a sleepover, and my boys and I had a night to ourselves. 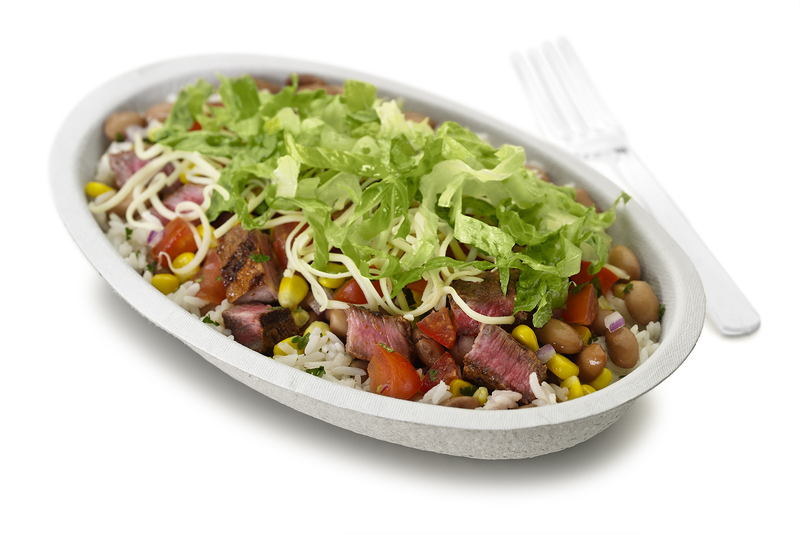 Through a random course of events, with details too many to mention, my doubled Chipotle burrito bowl went into the shopping bags of a tight-lipped but kind patron three people behind me in line. Slipping right off my tray and onto the floor, table, and their stuff (shoe boxes, a backpack, and ugh…two pairs of athletic shorts), my dinner and decorum were lost. Eli steadied our shaky ship. He and Oakley sat at the table and ate their food, the food that Eli had carried smoothly on a tray to the table. As they sat, I slid the guacamole off the shoe box, wiped salsa off the shorts, and apologetically handed the soggy receipt to the forgiving family. Eli was strong, stable, and unwavered by the raucous. He calmly ate, interacted with Oakley and asked very few questions. He held his head high and helped me make it through. Then yesterday, I had all three kids at Walmart in the 6:00 PM hour. I don’t do that, like ever, and don’t encourage it either. Oaks had said back in the toys that his tummy hurt. I checked in shortly after to see how serious it was and it didn’t seem dire. Still, I was trying to move us out of there. I had 24 items in the 20 item check out line and was hustling. They all three asked to go look at the arcade 10 feet away and I allowed it. After check out, I went to the arcade to round them up. Eli and Andi had three discoveries to explain and Oaks, ignoring my request to get in the cart, climbed into the Mickey Mouse car ride. As I approached to get him out, he threw up all over the seat of the car, and then onto the floor. I had nothing. Except regret about all that clearance aisle shopping. I grabbed a produce bag sitting in my purse (randomly) and tried to wipe Oaks off with the thin plastic. Not working. I told Eli to please go ask a worker for help. I left it as open-ended as that. I was able to seat Oakley in the cart and mop up the mess. Andi and Eli diverted their eyes and kept their freak out emotions completely in check. Their calm helped poor Oakley endure. Almost done with the wiping, I asked Eli and Andi to head to customer service and let them know they needed to come clean/sanitize. They were back in 30 seconds and had secured that maintenance would come and clean more thoroughly. Once again, Eli had calmly and honestly explained the situation. I hope the maintenance man was pleasantly surprised when he came to see all the chunks were already cleaned up. I left towels covering the fall out area so no other kids would ride the tainted ride. Eli returned the towels to aisle six and we left. At the car, I stripped Oaks out of his clothes, covered him in my sweat shirt and headed home to a really late dinner. During which, Oaks with his head on my lap on the bench, threw up again, five minutes into the meal. If you’ve read all of this and are still hungry or interested in being my friend, you too are a strong person. …Held a Home Amazing Race and went on a Mommy/Daughter Date! I hold it as a hallmark of my parenting, or at least my best intentions, to say Yes as often as possible. I want to be a “Yes-Saying Mom” to allow my kids freedom to express and employ their own ideas, to allow them to risk and enjoy, and to let go of my own control. Last week, because I said yes, we had some marked some major moments. Drew and I have loved watching CBS’s The Amazing Race with it’s whirlwind races around the world and complicated drama on the two-some teams. We love seeing the world and appreciate the edits that offer humor concise story telling. After watching 15 or so seasons together, Drew and I decided last fall, to let our kids in on our amusement. They loved it…even Oaks. They appreciated the challenges, the beauty and awe of the places they traveled on screen, and the nuances of the game as it was played between teams. I digress. All this to say, I love to say Yes but sometimes, because Eli wants to actually create so many real life situations, I sometimes have to say No. “No we cannot build a salmon ladder for Ninja Warrior practice in our back yard…. “etc.. However, I wanted to say yes to this family/neighborhood Amazing Race request. And I did so on Martin Luther King Jr. Day last week. I spent a day and a half writing clues, collecting items for the challenges, painting a check-in mat, and stuffing 40 envelopes with Route Info, Detours, and Road Blocks. We assembled teams with neighbors and some of their sleepover friends and had ourselves a little COVES Amazing Race 2016. I was thankful my friend Taylor was wiling to enter the fray having very little idea what she signed up for when coming over that day. Turns out, she’s a strict but fair judge and a quick distributor of clues. The four teams wore matching t-shirts (Drew and I have tons of the same clothes!) and completed nine tasks including: completing two mixed up puzzles, unscrambling block letters to spell the next destination (“fridge”), eating “gross” foods (cashews, pumpkin seeds, deer jerky, or pickles), climbing the tree to grab a bandana, sorting two shuffled decks and putting them in suit and number order OR creating a marble run track (that was the detour! ), memorizing a quote by MLK Jr. (“Our lives will end when we stop caring about the things that matter.”) and scoring an air hockey goal against Goalie William. Andi and Sydney- first place winners! Team “#Speedy” reading their clue…ready to memorize. The rules were simple. Read the whole clue. Work together always. Don’t give up. First team back to the mat wins. They pushed through puzzle confusion, playing card overwhelmedness, and memory-blocked memorization. They were patient with and encouraging towards their partners. Each kid impressed me at some point with an overcoming of a fear, a tenacity towards a task, or a patience with their peer. They all had fun. Background: Mallory and Lydia sorting decks. Front: Kiley and Kaitlyn on the other half of the detour, building a marble track. Scavenger hunts are always fun. Being on a team is a good thing. We need each other in life. I was exhausted Monday night but will do it again…probably in the summer..and at the kids’ requests, with more of the neighborhood in play. By Friday, I had revived my mom mojo and was ready for another YES. Backstory. Andi has been wanting to go ice skating all winter. And, Andi did not want to attend the showing of Charlottes’s Web at school because Charlotte’s death moves her to tears and she wasn’t in the mood for a PTA sponosored sob. When I asked Andi if, instead of going to the movie night at school which Eli was excited to do, she’d like to do something with Daddy, she said, “I want to do something with YOU Mom.” I was surprised- it’s usually Drew who gets picked for the fun extra stuff. Alas, I was a definite YES for this invite from Andi-girl. She caught me checking on ice skating hours on my phone so I went forward with the ice skating idea- shucking off the scares of a 20 degree evening, 20 miles of driving and $20 of costs. It was worth it to see the light in her eyes, the enthusiasm in her gait, and the audible excitement in her speech all day. She felt it was going to be so great to be just us girls. I did too. We went skating, shopping and to Starbucks. She did a great job skating and was undaunted by the falls or the falling temperature. She spun and smiled and took special care to stop and ask me, mid-loop, “What was something you did with Oakley today Mom?” It was a shot straight to the heart of this mom who LOVES thoughtful questions. Andi one-upped herself later in loving me, when she asked if the radio could be turned off so we could “just talk” while we drove. This girl! After skating, we shopped for loud leggings (she really wants pants with cupcakes, cats, or dogs on them) with no success, and then went to the Plaza Starbucks for hot chocolate and whatever else she wanted, which ended up being a blueberry muffin and a chocolate chunk brownie. The night was magical. And because I said YES to Andi, I learned a lot about how we are together. I realized most of the context of my mothering of her exists in instructions, requests, demands or questions. I think I mostly tell her what to do instead of simply slowing down, stopping everything, and playing with or listening to her. Or, when I do slow down and lean in, I’m also still half invested in cooking a dinner, or often interrupted by a brother, a text message, or a trip to the bathroom. When we were out together, I had nothing to do but be with Andi. It was amazingly apparent we need more of these times. We were glad to come home, giggling and tired, and learn the boys had a good night at the movie too. I don’t get it right all the time and surely give my kids a fair share of struggle with me as their mom, but I think the race on Monday and the date on Friday will be memories we all share that tell the bigger truth: we are a family who does love, adventures, invitations, and yeses pretty well most of the time. Sunday will bring the Royals to the ALDS Game 3 (Let’s GO ROYALS!) and our family to the celebration and recognition of Oakley’s Birthday 3. Watching Eli laugh at something Oakley does and help him out. Watching in awe as he sees something in the world or someone else and lets it light up his whole face with joy. Saying, “Thank you” as Oakley is a gift for which I feel undeservedly blessed. Making food for Oaks that will help him grow. Balancing a baby/toddler and working from home. Asking for help from family and friends who have stepped in care for Oaks when I’m working or away. Loving having 3 kids and being our family. Wondering if I’m doing okay as a mom. Sharing Oakley with Parent’s Day Out teachers, Jacob’s Well volunteers, babysitters Emma, Carly, and Abby, and our family. Hearing what other people notice in Oaks affirms or deepens my understanding of who he is and where he’s heading. Hugging Oaks in early morning exuberance. Sneaking peaks and back rubs while he sleeps. Playing with Oaks- keeping up with his energy and imagination best I can. Balancing 2 kids in school and one at home. Giving Oaks prayers and blessings. Enjoying simple days at home just me and Oaks. Welcoming the chaos, loving the surprises, treasuring the wonder, marking the moments, paying better attention in my mom maturity, making mistakes, kissing, laughing, taking notes, being outside, and being so so grateful that he is mine, and ours, and 3 big-boy-years-old. I celebrate Oaks as a gift and pray God grows Oakley up secure in God’s great love for him in Christ, and gives Oaks reminders of the presence and power of the Spirit to help, heal, and offer hope to the world. We love you Oakley Andrew Osborne! I’m not sure I can call myself a theologian but I do hold a Masters of Divinity. What a sobering degree- I cannot master the Divine. Today, however, a friend how to explain salvation to her eight year old. I immediately admired the astute question of her deep, little person, but couldn’t respond right away. After thinking, I’ll suggest, very inexhaustibly, the following. In seminary, I wrote salvation can be understood in two ways: as atonement (to set things right again) and reconciliation (brokenness restored to wholeness). These are great words but still unhelpful to a well-read, but still-in-the-concrete-operational-stage, eight year old. Salvation happens right now and is something that will happen in the future. When salvation happens right now, its like something broken, gets put back together. If a tea cup gets dropped and cracks into three pieces, it needs to be “saved”. A broken tea cup will not hold any liquids; it cannot be what it is meant to be.Super glue can save the tea cup. When super glue brings the broken pieces back together, the toy will work as its supposed to work. Right now, salvation means help in hard times. Salvation means being saved from a disaster- big or small. Salvation is when broken things get put back together. It’s not just toys that break. Relationships can break too. If we get mad at our brother or sister or mom or dad, it’s kind of like our relationship is broken. We don’t talk to them like we normally do, or we do mean things instead of loving things. Salvation happens when the relationship is glued back together with forgiveness and a love that goes deeper than disappointment, anger, or frustration. Forgiveness lets the broken part of the relationship go away so the fun and loving parts come back. If you’re grumpy and you get over it, salvation has happened in your heart. If you are mean to your sister but then say you’re sorry, salvation has happened. Jesus said salvation came to Zacchaeus in Luke 19 when Zacchaeus decided to stop taking money unfairly and return what he had stolen to the people. He was saved because he accepted Jesus’ love and justice as the better way to live. Salvation for Zacchaeus meant he could be who he was really supposed to be. Salvation is something that will happen in the future. God is always working for good; God is always light in dark places. God loves the whole world and all the people and doesn’t like when people break the world or each other with anger, abuse, fighting, sickness, pain, or waste. God’s future salvation will happen when all the broken parts of the world are fixed and the world can be the place God made it to be- a place of healing, hope, health, safety, sharing, peace, fairness, freedom, love, fun, joy, and beauty. Until God’s final salvation comes, we are supposed to make salvation happen here, right now, whenever we can. We can bring salvation to a friend who feels left out by inviting them to come play. We make salvation happen when we clean up trash around the park so it looks prettier for everyone who comes to play. We make salvation happen when we admit we are wrong, work to be different next time, and make things right with the sister/brother/mom/dad/friend with whom we fought. Jesus saved with love instead of hate…we can too. When I asked my own elementary school kids, after school just now, if they knew what salvation meant, they said, they had heard the word but didn’t know what it meant. “Like when a kidnapper is going to take you but someone stops them and gets you back.“- Andi. Indeed- salvation is like getting to stay in the game instead of being knocked out. Or salvation is like being ripped out of the arms of someone who means to take you from the life you’re supposed to live, and being held by arms that will keep you safe and take you home. I was gifted the experience of a relaxing Sunday afternoon with a friend and an elaborate spa facial a few weeks ago. The vulnerability of laying naked-faced with someone picking at every pore was simultaneously raw and relaxing. I was forced to give my fears about my face away, and chose instead to relax into the moment- accepting that this was the face I received in my genes, takes me into the places I live, and will be with me til the end. Yes, I need to take care of the skin upon it, but to altar it greatly cannot be done. I must live in my face with grace. By far the best part was the hot towel face wrap. Spinning two warm towels over my face with just a hole in the middle for breathing, the technician pressed down hard on the whole of my face under the warmth. The firm pressure released tension and felt wonderful. Two weeks after the facial, I went to a yoga class- my first at a yoga studio instead of a gym setting or prenatal DVD in my living room. Led by a highly qualified instructor (yogi? ), the class was very hands on with multiple instructors working around the room to push us deeper into already uncomfortable-but-good-for-me poses. After being let out of the last stretch, we were invited to lay flat in the quiet with eyes closed and body still. I was once again vulnerable to the experience around me- in the middle of a busy day, I found myself far away, in the dark, and in peace. After three minutes, one of the instructors started to massage my feet. Between four of them, they massaged every foot in the room. Oh, the feet they must encounter and the gift they give in touch. Driving away from yoga that day, I had the thought that I should give my kids a facial and a foot massage. Within the week, I took action. After dinner, I grabbed whichever one was closest and clipped long finger and toe nails. The clipping revealed some stink and stuck-in gunk in their toes so I started them on a foot soak around the table. Simple soap and warm water, they soaked and splashed. Oaks, with a huge grin, had his bowl on the foot stool. After the soak, I heated up my heat pack and got three hot towels. I lit candles in my room and gave them each a pillow to lay on. In a line, they alternated between face towel relaxation, heat pack heart warmth, and lotioned foot massage. Oakley lasted the first 3 minutes and chose to forgo a face towel wrap. Drew finished the Oakley spa evening with stories and bed. For Eli and Andi, they appreciated the ambiance, the attention, the touch, and the presence. They loved the feeling of massage on face, calf, and foot. Andi especially relaxed and enjoyed the physical touch- she is a very physical child and this positively filled her up. Eli, usually moving too fast for touch, laid impressively still with his body, but kept his mind and mouth in continual motion as usual. They both expressed gratitude audibly and in their reluctance for the experience to end. Mostly, I was moved. I got to touch and see, handle and hold my big kids’ bodies in ways I haven’t for a long time. In rubbing their feet, I fell in love again with how small and precious they are. As I rubbed their face, I spoke affirmation over who they are and encouragement for what they might do. I held their head in my lap and was very, very overwhelmed with how much of a gift they are to me and the world. The next day meant socks and shoes and peanut butter lips on those small feet and faces. Underneath and deep down however, we were all a little more in tune with each other and the life inside our skin.